AMY SWEENEY/Staff photo Rev. George Walsh, left, and Rev. 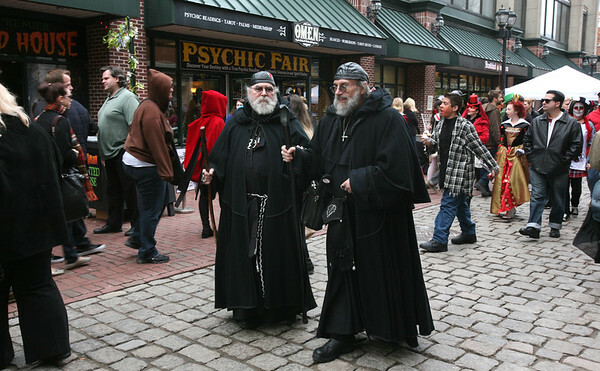 Brother H. Bruce Baldwin both from Boston walk up Essex Street on Halloween afternoon.